In thriller master Lee Child’s exclusive eBook short story, Jack Reacher must track down a spy in soldier’s clothing – by matching wits with four formidable females. Three are clean – but the fourth may prove fatal. 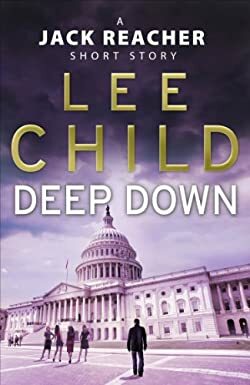 Summoned by Military Intelligence to Washington, D.C., Reacher is sent undercover. The assignment that awaits him: The army is meeting with its Capitol Hill paymasters for classified talks on a new, state-of-the-art sniper rifle for U.S. forces. But vital details about the weapon are leaking – straight from the Capitol and probably into the hands of unidentified foreign arms dealers. The prospect of any and every terrorist, mercenary, or dictator’s militia getting their hands on the latest superior firepower is unthinkable. That’s where Reacher comes in. His task: infiltrate the top-secret proceedings and smoke out the mole. His target: a quartet of high-powered Army political liaison officers – all of them fast-track women on their way to the top. According to his bosses, it’s a zero-danger mission. No need to draw a gun . . . just chat over drinks. But Reacher knows that things are rarely what they seem. And he’s learned the hard way never to underestimate an opponent. Or four. Lessons that will come in handy when he starts digging for the truth – and gets his hands a lot dirtier than he expected.